Welcome to the office of Dr. Wesley Ferguson & Dr. Jason Coats. We are a general dental office proudly serving Starkville, Mississippi, and the surrounding areas. Our reputation and practices demonstrate that you no longer have to travel to larger cities to find exceptional dental care for yourself or your family. We offer a diverse mix of dental services from the most simple to the very complex. Our services range from routine checkups, cleanings, and fillings to crowns, veneers, implant restoration or even full mouth reconstruction. Whatever the dental treatment that may be needed, we want to be the office for you! While we are proud to deliver a variety of dental treatments, Dr. Ferguson and Dr. Coats have a special interest in cosmetic and dental implant procedures designed to make you look and feel your best. We also realize that a trip to the dentist is not a favorite activity of many people, and we would love the chance to show you how pleasant and, dare we say,enjoyable it can be. Our office is honored to have been named “Starkville’s Best Dentist/Dental Office” by Town and Gown magazine and Starkville Daily Newsfor 2012, 2013, 2014, and 2015. Ask your friends or neighbors about us, or just make an appointment and come see for yourself. Dr. Ferguson is a native of Senatobia, MS, and graduated from Mississippi State University in 2000 with a BS in microbiology. 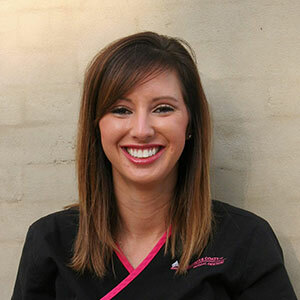 Dr. Ferguson attended dental school at the University of Mississippi Medical Center, graduating in 2005. 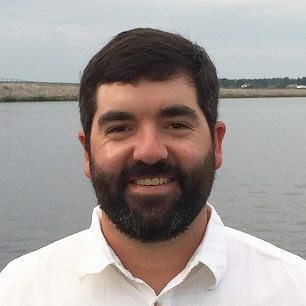 After finishing dental school, Dr. Ferguson furthered his education by completing an Advanced Education in General Dentistry residency program at the Medical University of South Carolina in Charleston. He returned to Starkville in 2006 and entered private practice. 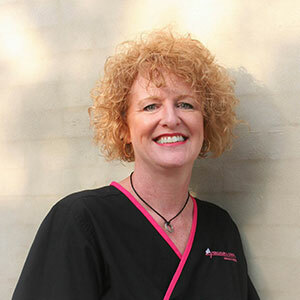 Dr. Ferguson is a member of the American Dental Association, Mississippi Dental Association, Academy of General Dentistry, American Association of Cosmetic Dentistry, and Starkville First Presbyterian Church. He takes great pride in providing the absolute highest quality dental care to his patients, and has a special interest in implant and cosmetic dentistry. Dr. Ferguson is supported by an outstanding staff who are equally committed to providing outstanding patient care to all patients of the practice. They are active in a variety of continuing education courses to broaden and sharpen their knowledge and skills. 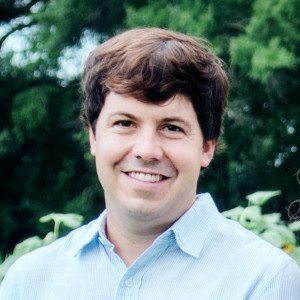 Dr. Coats is a native and lifelong resident of Starkville, MS, and graduated from Delta State University in 2010 with a BS in biology. Dr. Coats attended dental school at the University of Mississippi Medical Center, graduating in 2015. After obtaining his dental degree, Dr. Coats enhanced his education and scope of practice by completing an General Practice Residency program at the University of Mississippi Medical Center. 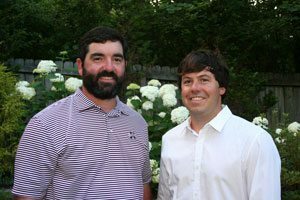 He returned to Starkville in 2016 and entered private practice with Dr. Ferguson. 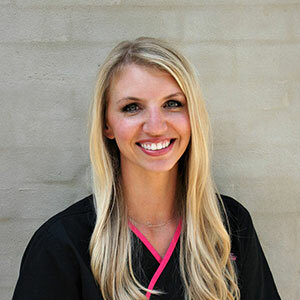 Dr. Coats is a member of the American Dental Association, Mississippi Dental Association, Academy of General Dentistry, and Starkville First United Methodist Church. He takes great pride in providing the absolute highest quality dental care to his patients, and has a special interest in endodontic and cosmetic dentistry. Dr. Coats is supported by an outstanding staff who are equally committed to providing outstanding patient care to all patients of the practice. They are active in a variety of continuing education courses to broaden and sharpen their knowledge and skills. Jill is from Columbus, Mississippi. She graduated from Meridian Community College with a degree in Dental Hygiene in 2001. Jill has been employed at our office since 2001. In her spare time she enjoys spending time with her two grandchildren. Sherry joined our practice in July 2017. She is a native of Leland, MS, but has resided in West Point, MS with her husband Rob for the last 27 years. 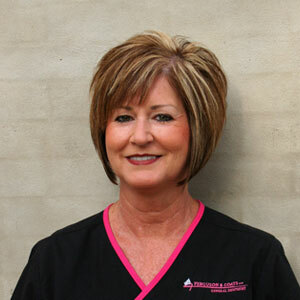 Sherry has 24 years of experience in the dental field and is one of the newest members of our team. Sherry and her husband Rob have two children, John Robert and Elaine. In her free time Sherry enjoys being active in her local church as well as enjoying a nice boat ride on the Tombigbee River with friends. 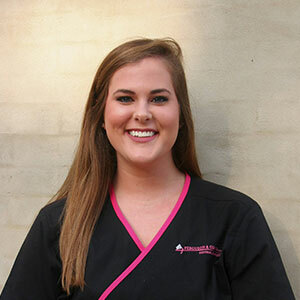 Melanie is a Starkville native who worked at our office as a dental assistant for several years before rejoining our staff as a dental hygienist in 2011. Melanie graduated from Meridian Community College with a degree in Dental Hygiene, where she was awarded Most Outstanding Hygiene Student. Melanie has recently taken over the roll as our scheduling coordinator and office manager.Melanie and her husband Matt currently reside in Mathiston with their children, Holly Beth and Dillon. In her spare time, she enjoys crafting and spending time with friends and family. 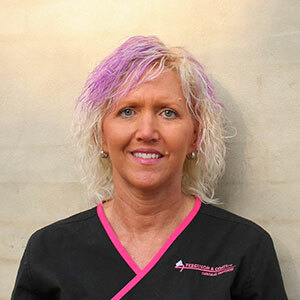 Mary is employed at our office as our lead dental assistant and has over 23 years of experience in the dental field. She is originally from Sacramento, California. 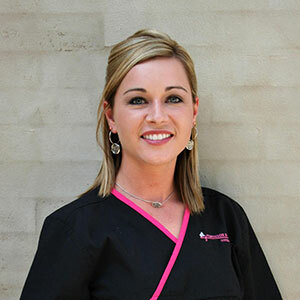 Mary is a Certified Dental Assistant and is one of only a handful of dental assistants in the state of Mississippi trained at D4D University in Dallas, Texas, in the design, staining, and glazing of E4D single appointment crowns. She enjoys spending time with her family and granddaughter in her spare time. Stephanie joined our practice in April 2016. Stephanie is originally from Calhoun County and currently resides in Montpelier with her husband, Steve, and their two children, Rylee and Lane. In her spare time, she enjoys spending time with her family and is very active in her church, New Montpelier Baptist. Raysha is native to Starkville and a 2006 graduate of Starkville High School. She is a 2010 graduate of Meridian Community College with a degree in Dental Hygiene. Raysha joined our practice in May 2013 as a part-time hygienist. 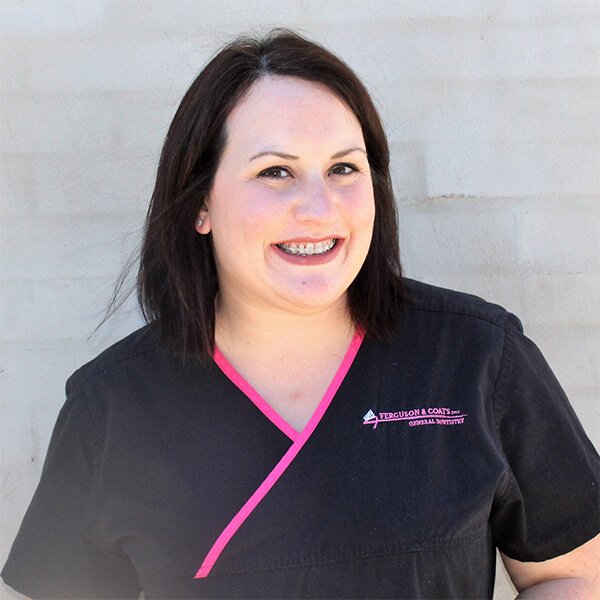 In 2016 she furthered her career as one of our full time hygienists. Raysha enjoys spending her free time with her husband, Tyler, and their two children, Baker and Campbell. 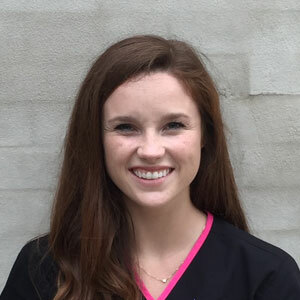 Jessie is a native of Memphis, TN, but currently resides in Philadelphia, MS. Jessie joined our practice in August of 2017, as our newest Dental Assistant. She is a 2017 graduate of Meridian Community College with a degree in Dental Assisting. In her free time Jessie enjoys playing with her dogs and being active in her local church, Sandtown United Methodist Church. Bell is employed as one of our office assistants. She is a Starkville native and a graduate of Starkville Academy. She graduated from Mississippi State University with a degree in Kinesiology with a concentration in Clinical Exercise Physiology. She hopes to attend Physical Therapy School in the future. Her favorite things are her dog Archie and a good cup of coffee. Kayla is from Columbus, MS. She graduated from Meridian Community College with a degree in Dental Assisting in 2012. Kayla joined our practice in September of 2018. In her free time she enjoys spending time with her son, Smith, and reading a good book.